Coast Spas Chief Operating Officer Jatinder Sidhu has been honoured with the Fellowship Award by the Association of Pool & Spa Professionals in recognition for his work to enhance standards in the global wet leisure industry. 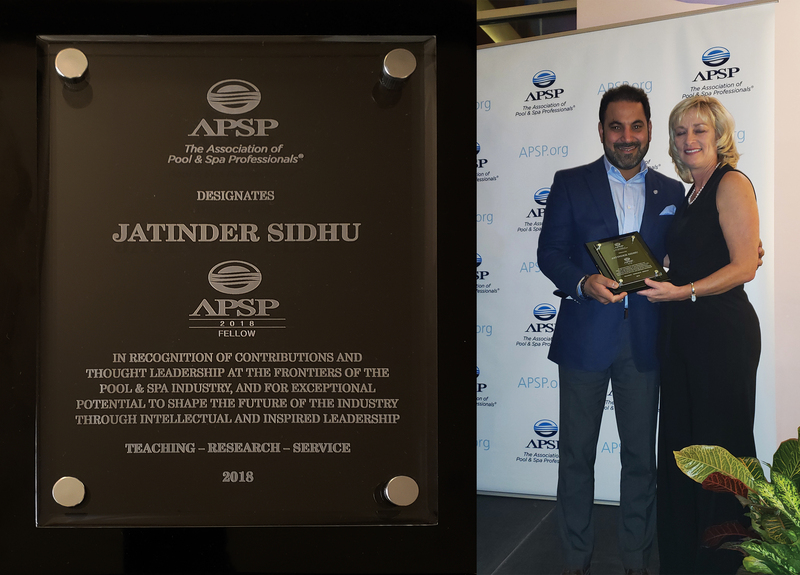 Jatinder was among one of the five winners of the prestigious Fellows Program award, which recognises exceptional individuals for their contribution in the industry; and other recipients recognised at this year’s Association of Pool & Spa Professionals (APSP) 2018 Awards Reception that was hosted at Mandalay Bay’s Border Grill in Las Vegas, Nevada. In its 48th year, the APSP International Awards of Excellence received hundreds of entries, representing members from around the world. To be ranked as an APSP Fellow is the highest professional award that recognizes outstanding performers who have made distinguished contributions within the industry and Jatinder certainly meets the required criteria, if not surpasses it. Having served more than 17 years in the hot tub industry, Jatinder has pushed the boundaries of what can be achieved within a global industry. He has represented the hot tub industry on an international level by being appointed to the US Technical Advisory Group TC 61 in 2017; in which he has been overseeing portable hot tubs and spa electrical safety standard (IEC-60335-2-60). Amongst other appointments that Jatinder has served under is The European Committee for Standardization, (The Deutsches Institut für Normung/or German Institute of Standardization) TC 402/WG4, BSI (British Standards Institute), CSA (Canadian Standards Association), APSP-IHTA (Association of Pool and Spa Professionals – International Hot Tub Association), NSF (National Swimming Pool Foundation – Salt Water Task Group) ANSI (American National Standards Institute) and the APSP 14 (Portable Hot Tub Energy Efficiency Standard). While serving within these international organisations, Jatinder has been a tireless advocate of higher standards in consumer safety for all brands of hot tubs and swim spas. His role as an educator is invaluable towards the enhancement of the industry’s trade as a whole, while committing himself to excellence. Through his business interactions he has fostered a cohesive community; where the ultimate goal is the improvement of the pool and spa industry. 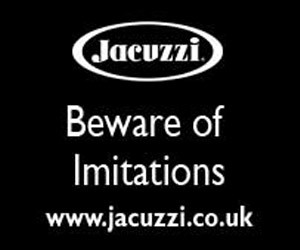 Since joining the company in 2004, Jatinder’s relentless drive, business acumen, and commitment to excellence has helped to enhance Coast Spas as an innovative international industry leader and one of only two companies worldwide in the hot tub industry to receive ISO 9001: 2015 QMS Quality Certification. “This Fellowship Award is just the beginning of a well-deserved recognition for his service and leadership within the aquatics industry,” said Coast Spas Marketing Manager Oran Wakelam. The multiple WhatSpa? Best Buy Award and WhatSwimSpa? Best Buy Award-winning company, based in Vancouver, British Columbia, was one of the leading manufacturing exhibitors at the International Pool Spa Patio Expo; where a key element of the company’s large stand area was the promotion of its unique ‘World’s only infinity edge’ hot tubs and swim spas. Ahead of the event, Coast Spas recently installed a new massive vacuum forming machine at its production facility. This former, which had to be delivered by two over-sized trucks, is one of the largest of its kind and will now provide the company with the enhanced capacity to support its thriving UK dealer network and growing product demand worldwide for over 25 models of hot tub and swim spas available in over 100 configurations.